You'll get close to your patients in the nursing home. Certified nurse aides, commonly called CNAs, are those health care providers who spend the most time with residents in nursing homes. As a CNA, you’re the one who does the cleaning, bathing, dressing and feeding and helps with the most basic care. The majority of CNAs work in nursing homes -- 55 percent, according to the Bureau of Labor Statistics. Some of the most important duties performed by CNAs are ADLs. That stands for activities of daily living -- the tasks that healthy people take for granted and are necessary for living a clean, healthy lifestyle. ADLs are things like making it to the bathroom in time and cleaning up when an accident occurs. Life for incontinent patients revolves around the bathroom, and it’s up to the CNA to help. In addition to assisting patients with cleaning up after an accident, you’ll help them bathe, get dressed and do daily hygiene like brushing their teeth and combing their hair. Eating, transferring from the bed to a wheelchair and repositioning patients so they don’t get bedsores are other ADLs you’ll do daily. CNAs are trained to take vital signs. You’ll be the one to take daily blood pressure readings and measure your patients’ heart rate, respiration and temperature to make sure they fall within acceptable limits. CNAs work under the supervision of a registered nurse and report unhealthy or unusual vital signs when they appear. Additionally, you'll track and record fluid and solid intake and output. 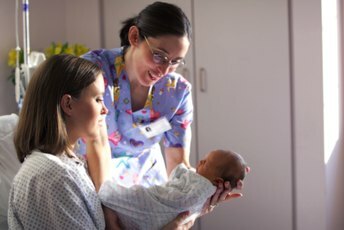 Since you’re the one person who spends the most hands-on time with patients, you’re in a unique position to notice slight changes the doctor or nurse might miss. While you aren’t licensed to treat abnormalities, you can watch for things like the beginning of bedsores, an increase in pain or signs of depression. In addition to reporting abnormal vital signs, you'll report other observations you’ve made. In a nursing home, you’ll be the one to respond to the call button and to determine whether you can fulfill the need of the patient calling or if it’s a medical issue you need further assistance with. 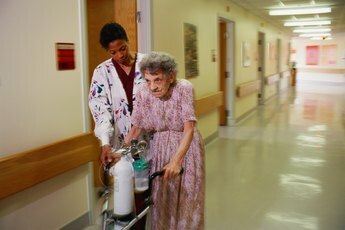 In nursing homes, a janitorial staff cleans the floors and empties the trash, but janitors don’t interact directly with patients. You'll change the linens on the beds and remove dirty laundry from the room. Cleaning up around the patients' beds, taking away candy wrappers and used water bottles will also be your responsibility. Bottom line, your duty is to make your patients as comfortable as possible as they recover from a procedure or spend their last days in your care. 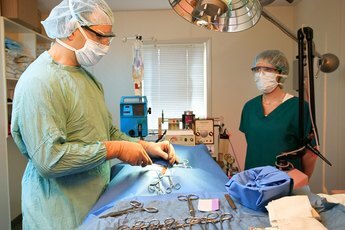 What are the Different Jobs as a Veterinary Nurse?